Paul and Elizabeth, being taken with the Ugly Dolls they bought in NYC two months ago, have been drawing ugly dolls, talking about ugly dolls, sleeping with ugly dolls and studying the ugly doll brochure that came with their NYC purchases. 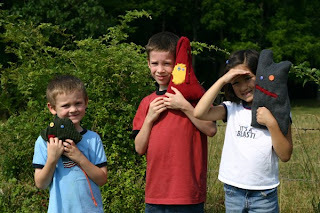 When I received a sewing machine for my birthday from my ever-so-thoughtful husband, churning out a couple ugly doll knock-offs seemed to be the perfect first projects to acquaint myself with my new machine. Armed with plenty of scrap fabric, these stuffed friends just seem to design themselves although the kids each picked out the buttons that were to be the eyes of their friend. Paul and Philip even embellished them a bit the next day by adding tails, and Paul added fleece dreadlocks to make a "hippy" friend. The results of the ugly doll experiment were certainly well received. Elizabeth's Lulu is the gray boxy fleece friend with the crooked grin. Paul's Cookie is the triangle-shaped, red fleece friend with the cookie shaped face and long flowing locks. Philip's Carrot is a forest green cordoroy, hexagon friend with his red tongue hanging out. Ahhh...love at first sight. I can't wait to show these to the girls! I love them and those dreadlocks are hilarious! 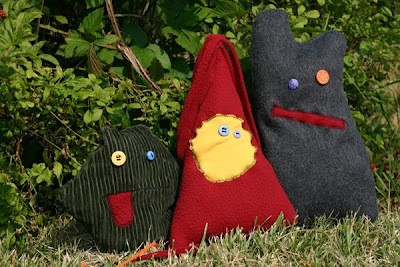 So funny, b/c I just got a new sewing machine and one of our first projects will be the uglies......like minds I tell ya! 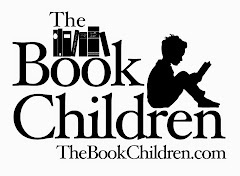 Thanks for sharing this link and poor little Finn for being corrected all the time; I know the feeling!